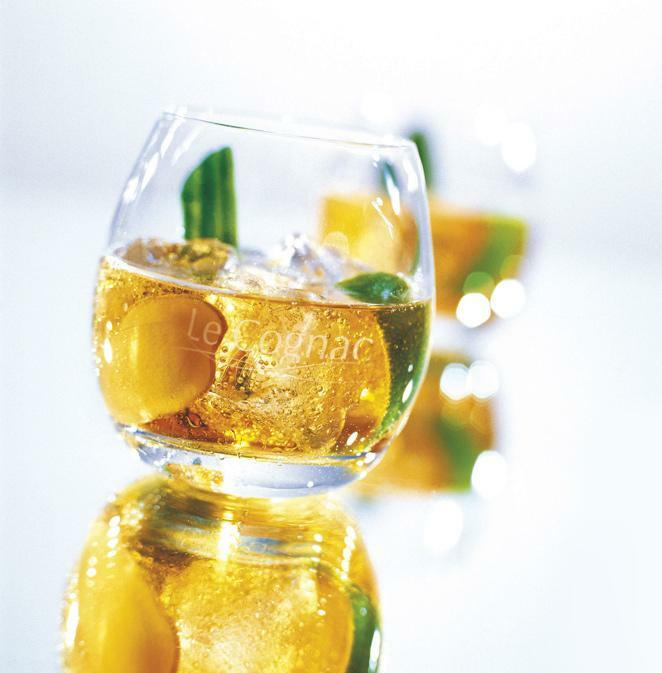 Place the lime zest and ginger slices in the glass. Pour in 20 ml of VSOP Cognac. Lightly press the lime and ginger two or three times using a pestle. Half fill the glass with ice. Stir well for five seconds using a bar spoon. Add 60 ml of lemonade and the cucumber peel.